On the way home to Manila after a whole week of stressful work in Batangas, I coerced some colleagues to pass by the famous Bulalo place, Rose and Grace Restaurant: The Home of the Famous Batangas Bulalo for a quick dinner, before forging ahead to the potentially unendurable SLEX traffic. 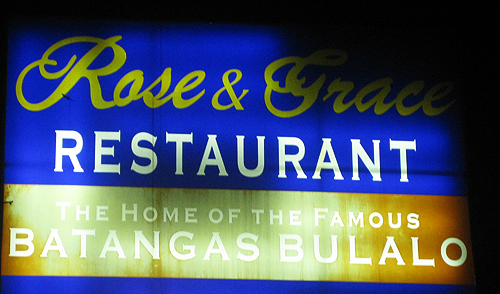 The restaurant is just off the entrance to STAR Tollway – no more than 10 minutes away – along Maharlika Hi-way, Sto. Tomas, Batangas. Last Thursday, me and my cousin Chari went for another spontaneous hangout at Greenbelt 3 in Makati. Due to the traffic that night before the holiday last Friday, we were not able to make it on time for our movie schedule. 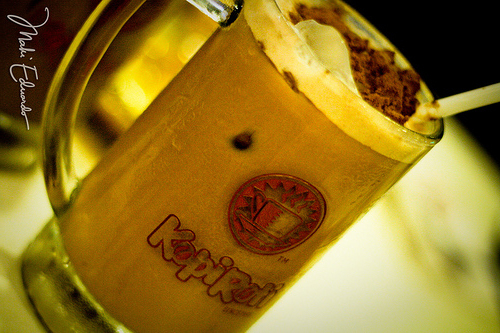 So we just ate the night away at Kopi Roti. During the surfing clinic for Bloggers of Sago. 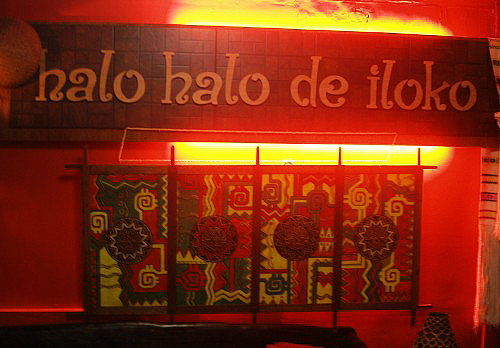 We decided to visit Halo Halo De Iloko. It was highly recommended by our hosts and we wanted to find out for ourselves if it was really as good as they say it is. I also believe that the best way to immerse yourself in culture is to taste what is unique about the area.